I am excited to bring you a giveaway from an amazing online baby bedding boutique, Baby Bedding Zone. 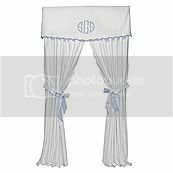 Anyone looking for crib bedding, toddler bedding, children’s bedding, and décor should visit this easy to navigate site and check out their selection of designer items. You can spend hours browsing the possibilities (like I did!) and imagining the perfect room for your little one. And, by the way, all orders $99 and up get FREE SHIPPING! I spent most of my time looking at the baby boy nursery bedding, since I’ll be bringing home our baby boy soon. My older boys love dinosaurs, so they were immediately excited to see the dinosaur baby bedding. 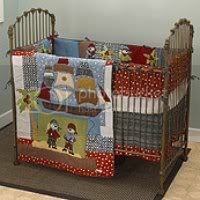 I also found other favorites, like the Pirate’s Cove and the Madison Boutique crib set pictured below. And now are you ready to hear more about that giveaway? 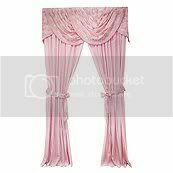 Pictured Above: Palm Beach Blue (valance not included), Palm Beach Pink (valance not included), Palm Beach Green (valance not included), Savannah (valance included), Cape Cod (valance included), Fairyland (valance included). This giveaway is open to USA residents ages 18 and up, and will end on May 24 at 11:59pm PST. Winner will be randomly selected by WP Plugin “And The Winner Is” and e-mailed with 48 hours to claim their prize. 1. Like Baby Bedding Zone on Facebook. 2. Follow Baby Bedding Zone on Twitter. 1. Follow Mom Always Finds Out on Google Friend Connect. 2. Like Mom Always Finds Out on Facebook. 3. Follow Mom Always Finds Out on Twitter. 5. Facebook Share the link to a product you’d like to have. 6. Tweet the link to a product you’d like to have. Tweet or Facebook Share button on the product page. Disclaimer: This is not a compensated review/giveaway post. Sponsor is responsible for prize fulfillment. Like Mom Always Finds Out on Facebook Lisa W.
Wow, great giveaway! Mandatory entry: I like BBZ on both FB (Rachel R.) and twitter (@MsGatorRN). GFC follower – Rachel R.
Like you on Facebook. 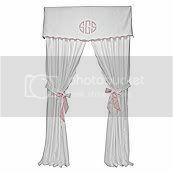 Aprile R. M.
I liked Baby Bedding on Facebook and Twitter @cmc2314. I Like Mom Always Finds Out on Facebook (Veronica Lusted) Thanks! Tweeted the link to a product I’d like to have. Facebook Shared the link to a product I’d like to have. 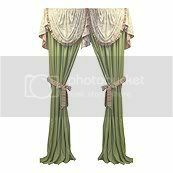 I liked Baby bedding zone on facebook and twitter. I also liked and followed Mom always finds out on facebook and twitter. 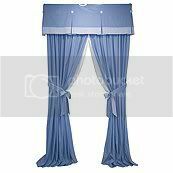 I am following Baby Bedding Zone via facebook and via twitter account. I am following Mom Always Finds Out on Google Friend Connect. I Like Mom Always Finds Out on Facebook. I am following Mom Always Finds Out on Twitter. Like and follow Baby Bedding Zone on FB and Twitter. Tweeted a product I love. Also shared it on FB. And shared it on FB. Thanks for the awesome chance. I Follow Mom Always Finds Out on Google Friend Connect.